Vocaroo is an online tool that allows users to record, send, and download voice messages. Teachers and learners can use Vocaroo in different activities, such as podcasting, digital storytelling, broadcasting, and giving feedback. The tool is simple and user-friendly. The tool can be accessed directly without logging in to an account. The voice messages can be shared on blogs, websites, and social networking sites. The link to the audio can be shared, just by copying and pasting. Recordings are available for a few months (three months usually). The Vocaroo widget can be embedded on another website, so that, for example, your students can record voice messages via Vocaroo directly from your class website. This tool does not require knowledge of HTML. The recordings can be downloaded in different formats, including mp3, Ogg, flag, and wav. Access and Equity: The site is free and can be accessed from anyplace in the world through an online browser. However, Vocaroo is a flash-based tool, so it may not be accessible from mobile devices. Recorded messages can be listened to on most mobile devices that support HTML5. Ease of Use: Once you have flash player installed and a microphone, it is easy to use. Accessibility: The website does not provide special options for users with hearing or visual disabilities. Privacy: Vocaroo uses the following services to track cookies: Google Adsense (for advertisements), AddThis (for social media sharing), and DISQUS (for commenting on public messages). DISQUS is only enabled if you click “comments” under a message. Power & Bias: Vocaroo is not responsible for the content of the messages recorded.Students need to learn how to use the tool ethically. Substitution: Learners can use the online tool to record audio instead of using desktop or laptop voice recorders. Augmentation: Vocaroo users can share their audio products easily via blogs, social media sites, and email. Modification: Learners can include audio in tasks that were traditionally text-based (e.g., summarizing content that they have studied in class). Redefinition: Learners can produce audios to share with classmates and family. Lesson activities can be redefined by including audio production in and out of the classroom. In the past, the possibilities of having students or teachers broadcast their audio productions to thousands of people around the world were inconceivable. Tools like Vocaroo and Soundcloud make this feasible. Feedback and Comments: Learners and teachers can provide voice comments (rather than text-based comments). They can share a link to the voice comments in a Google Doc, blog, or learning management system, such as Moodle, Blackboard, or Google Classroom. English Language Learning: Learners can record and listen to themselves. Students can take notes on their grammar and pronunciation. 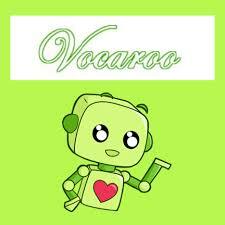 They can also use Vocaroo to rehearse their presentations. Record their presentations, listen, and practice. Class activities: Podcasting, making a character interview or historical event dramatization, online discussions, explaining a process or procedure in Math or Science, the possibilities are endless for classroom activities. Combining Vocaroo with other tools: The Vocaroo recorded messages can be embedded in Google Earth, Padlet, or Thinglink. Look at an example of digital geography . Kim, S. (2014). Developing autonomous learning for oral proficiency using digital storytelling. Language Learning and Technology, 18(2), 20-35.